A leaking roof isn’t something that you want to mess around with. 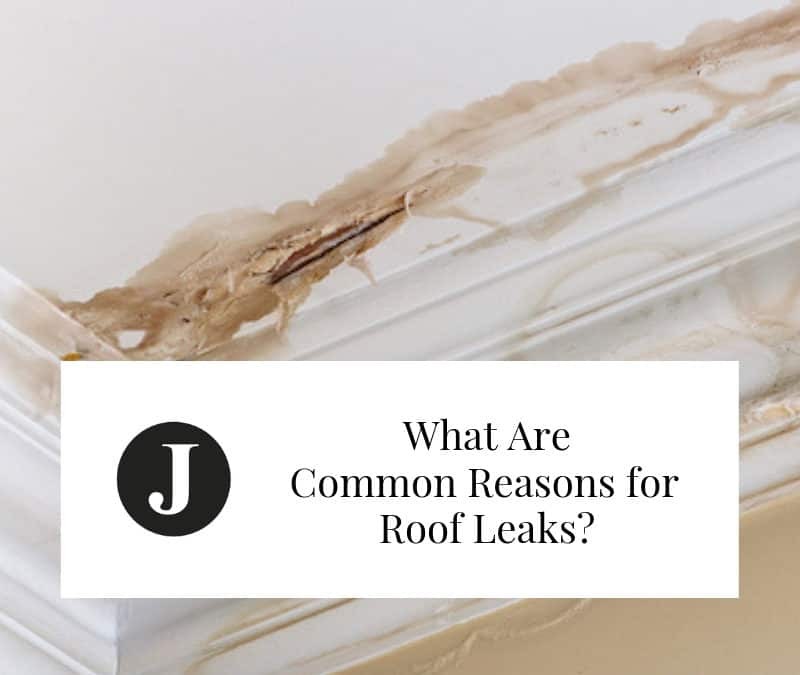 Not only is there an issue that needs to be addressed with the roof, but a leaking roof can cause a significant amount of damage to the inside of your home. And, sometimes there can be leaks that you aren’t even aware of yet. Here are some reasons why your roof can become compromised over time and begin to leak. Unfortunately, they aren’t made to last forever. Depending on the roofing materials used, and assuming that the installation was top-quality, a roof should last 20 to 30 years. Weather conditions and exposure to constant sunlight can also affect the longevity of your roof. Strong winds can tear them off of your roof, exposing the wood underneath to the elements. 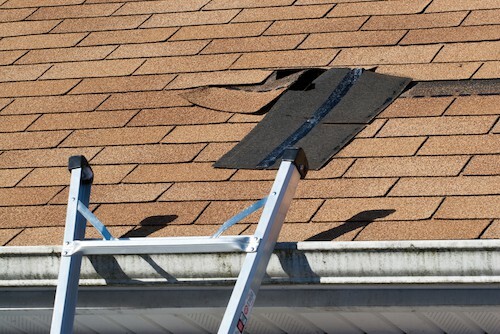 It’s always a good idea to check the condition of your shingles after a strong storm. Holes will sometimes need to be drilled through the roof for things like antennas, cabling, or ventilation. During installation, the holes will be sealed. But, over time, some of these seals might not maintain their effectiveness. You should check the seals at least once a year to make sure there isn’t any water getting through. It’s normal for debris to settle on your roof. Leaves, twigs, and branches will often settle on top of your shingles. The problem occurs when they stay there for too long. Water will collect under and around them, settling on your shingles, and will slowly start to eat away at their fibers, causing leaks. A clean, efficient gutter system is one of your roof’s best defenses against the harshness of Mother Nature. 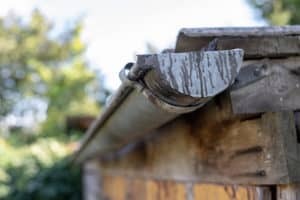 Here are some reasons why you should keep your gutters clean. Ice buildup: If there is a clog of debris in your gutter or downspout, the water from your roof won’t be able to drain. While not a big issue in Florida, if it gets cold enough in the winter, it will freeze inside of the gutter system, and the added weight can cause the gutters to tear away from your home and roof, causing significant damage. Dams: That water freezing in the winter can also backup and freeze in puddles on the shingles, again eating away at your roof. Alignment: If you have more than one rooftop, it’s best to route each of their gutters all the way to the ground instead of having them drain onto each other. The idea is to get the water off of your roof as quickly as possible. The seals around any roof vents will also wear over the years. Even the screws and nails can sometimes work their way out, allowing water to get through. It should be a part of your yearly inspection to make sure the vents are secure and watertight. The slope of your roof can also affect its longevity. If the slope is too shallow, the wind will be able to lift the shingles, allowing rainwater to get to the wood underneath. If you roof has different slopes, you may notice more wear on the more shallow ones. This is what seals all of the corners where different roofs meet and around dormers and skylights. It should also be checked on a yearly basis. It’s the peak of the roof. While it’s probably the most secure part, it should also be inspected annually to make sure it’s isn’t compromised. Give us a call today for all of your roofing needs. Whether you are looking for installation, repair, or an inspection, our team of skilled professionals will work with you every step of the way making sure that your roof is in perfect condition. Janney Construction Services is just one of many Orlando roofing companies that you have to choose from. The difference with us is that we care. We’ve built our family-owned and operated business on a foundation of honesty, quality, and integrity. Let us show you why we were voted Orlando’s Best Roofer by Orlando Weekly.